Lost Motorcyclist: Who Was More of a Car Enthusiast? A Prius Driver or Hitler? 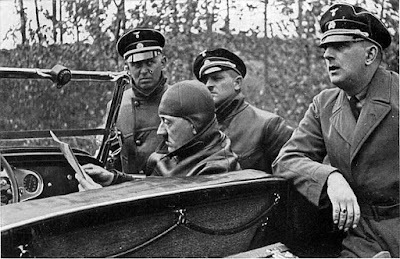 Hitler could, in s stretch, be considered somewhat of a car enthusiast, if for no other reason than it offered him an 'economic stimulus' opportunity ... Germany was the first country to build high-speed, limited access highways as we now know them. And, of course, Hitler also commissioned the Volkswagen. I have wrenches, so it's another way I can be different from HItler. I Googled it, the only references that appeared were about Hitler "throwing a wrench" into one thing or another. That had to be just figurative, I'm pretty sure he wouldn't have thrown any wrenches if he actually owned them.